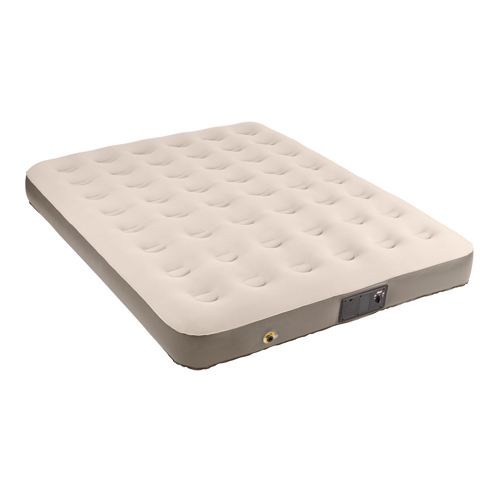 Add more cushion to your rest in a Coleman QuickBed queen extra high airbed. The added height and 48 internal coils provide superior support, while a soft top offers relaxation for sleepers on the go. Once you find that perfect firmness, it will be yours all night long with the Airtight system that's guaranteed not to leak and the easy-to-use Double Lock valve that also helps inflate and deflate the bed quickly. When you're ready to pack up, the bed fits easily inside the included carry bag for quick storage. - Inflated Dimensions: 78" x 58" x 9.5"